Aerohive offers the broadest range of Cloud Networking deployment options for access network management: Public Cloud – Private Cloud – Virtual Appliance. Aerohive partners and customers with large scale requirements above five thousand devices can deploy their own Private Cloud instance of HiveManager, capable of managing up to one million connected access points, switches, and routers. 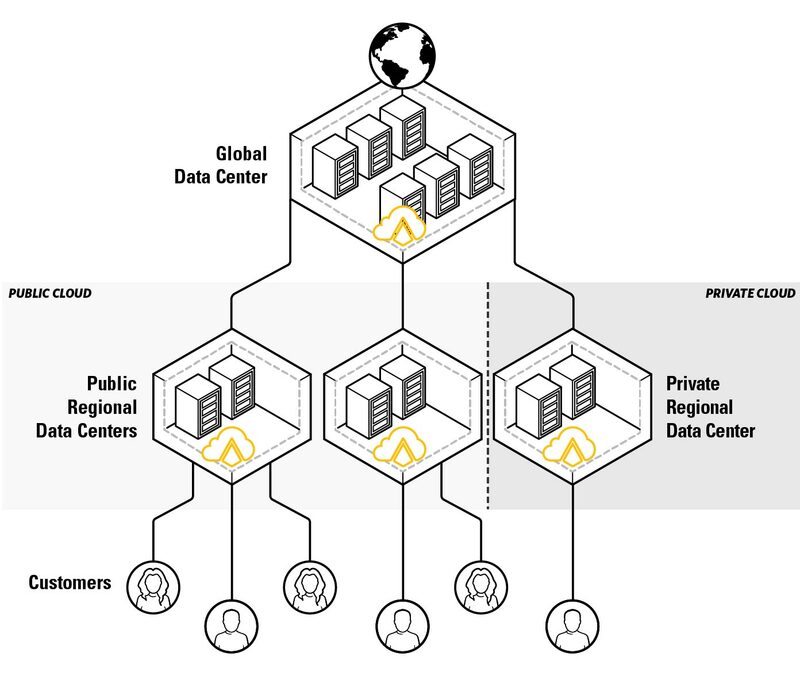 The Private Cloud RDC (Regional Data Center) provides the same benefits and features as Aerohive’s Public Cloud, including support for Aerohive Connect™, Select™, and Insight™, but can be located within a customer’s or partner’s own infrastructure. It is an ideal solution for Managed Service Providers (MSPs) or enterprises who want the scalability and elasticity of the cloud with the added control of hosting it in their on-premises datacenter or in their own Cloud Service Provider account. For customers with deployments of up to 2,000 network devices who require an on-premises deployment, Aerohive offers HiveManager Local Cloud. For more information, download the HiveManager Local Cloud Data Sheet.